Biggles - Series of books - Website of reckersworld! This page is dedicated to the series of boy’s books about the World War I fighter pilot, Capt James T Bigglesworth – Biggles for short. Written by a former World War I pilot, Capt W E Johns. There were close to 100 Biggles books written. I have read them all and own all but one. The one I don’t own (Biggles in the Deep Blue Sea) I once picked up for 20 cents at a garage sale and sold it for 300 pounds on E-Bay. There is also an unfinished Biggles novel called “Biggles Does Some Homework”, which unfortunately is very hard to get a copy of. I started reading them when I was about 10 years old. I was 46 years old when I finally got a copy of another rare title, “Biggles Looks Back” and was finally able to say I’d read them all. That left me feeling a little sad. But then I figured there were plenty of Biggles books I haven’t read in over 30 years. It was time to read them all again, this time from the very first one through to the last one. So I did just that and have now critiqued each one. 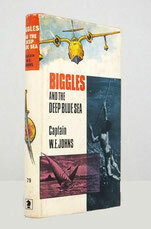 Some Biggles books were never republished and I paid particular attention to those and answered the question “Why?” One, “Biggles and the Deep Blue Sea” contained information on cannabis growing. “Biggles and the Leopards of Zinn” was very racist. 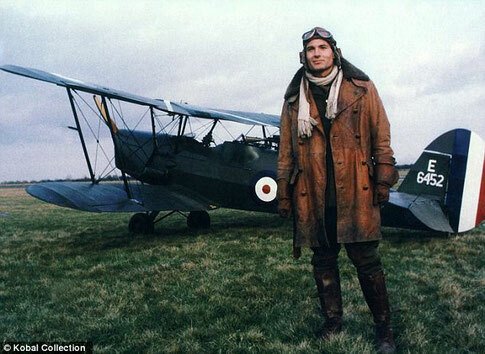 “Biggles Goes Alone” was a whodunit and mainly a talkie with no action. There always seemed to be a good reason to publish some again, while never publishing others. Which means that some titles are quite rare. It may be that the days of the Biggles collectors are drawing to an end. There appear to be few new Biggles fans coming in now and less Biggles titles being published than ever before. It may be that us middle-aged guys could be the last generation of true Biggles fans and the oldest collectors are dying off and their collections are being sold. 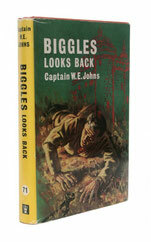 How long before you can sell a Biggles book for hundreds of dollars? Even now it seems they aren’t selling for as much as they did a few years ago. Everyone who wants a copy of a 1st Edition perhaps already has one?